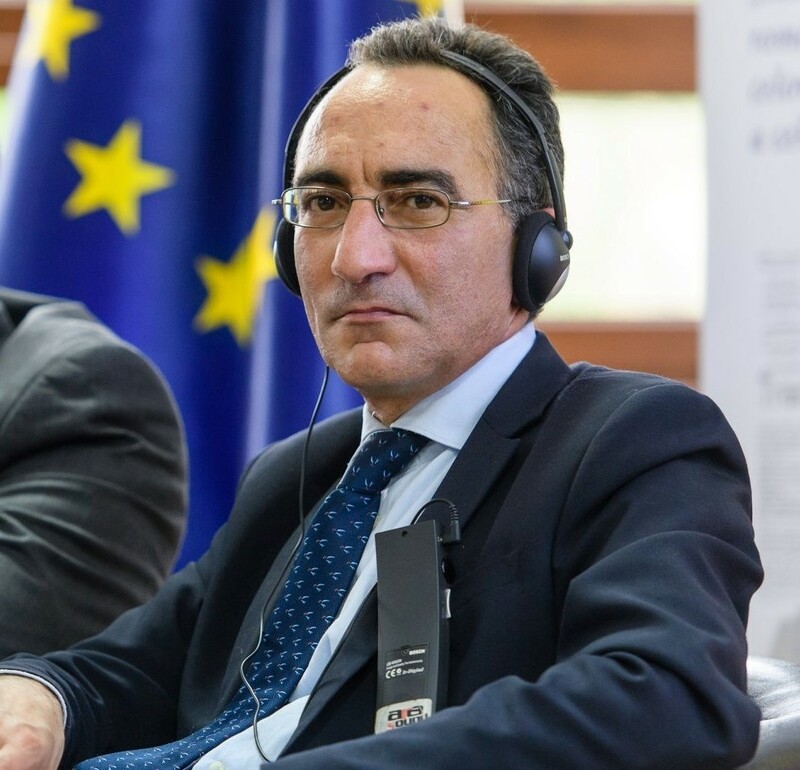 Between 4-9 October 2018, Prof. Luigi A. Dell’Aquila, Head of the European Funds Department of the European Academy of the Regions, has planned – following the cooperation relations already established – a Professional Visit in Republic of Macedonia (Skopje, Strumica e Stip), at the Official Invitation of Mrs. Ksenija Vangelova (Director of the Regional Business Innovation Center / BIC SR based in Strumica /Web Site: https://bicsr.com.mk/) in order to deepen the contents and objectives of possible and future project hypotheses in the field of European Programs, Projects and Funding. On this occasion, further Work Meetings are scheduled for other Macedonian Institutions, Bodies and Companies, including: the Ministry of Regulation of SMEs of the Government of the Republic of Macedonia; the Municipality of Strumica; the Union of the Chamber of Commerce of Macedonia; the following Companies: Evrosti M., Niprom, Geocontrol, Geotermika, Edinstvo and Atlantis. Moreover, Prof. Dell’Aquila will hold a Intervention – concerning the European Programs for Research, Training, Innovation, SMEs and Entrepreneurship – within the Forum “Innovation that are Key in the Development of Small and Medium Size Enterprises” which provides participation – as well as Prof. Dr. Radmil Polenakovikj (Minister for the Regulation of Small and Medium Enterprises and Professor of Machine College of the University “SS Cyril and Methodius” of Skopje) – of: 1) Young Innovators with Start-Up Ideas Successful Stories; 2) Companies with Successful Stories. Finally, he will hold a Lecture – concerning the theme of “Innovation and Entrepreneurship in Europe” – addressed to Students of the Faculty of Mechanical Engineering of the University “SS Cyril and Methodius” of Skopje and of the Faculty of Economics of Goce Delcev University of Stip and, in both Universities, will also be received by the respective Professors and Research Team. At the end of the Professional Visitation in Macedonia, he will travel to Thessaloniki (Greece) where he is scheduled a Business Meeting with the Director of the Italo-Hellenic Chamber of Commerce of Thessaloniki, Mr. Marco Della Puppa, during which they will be in potential opportunities for collaboration and synergistic cooperation in the field of European Programs, Projects and Funding.